Small paan patti shops at the corners of many roads ..
You must be wondering what am I trying to say ? 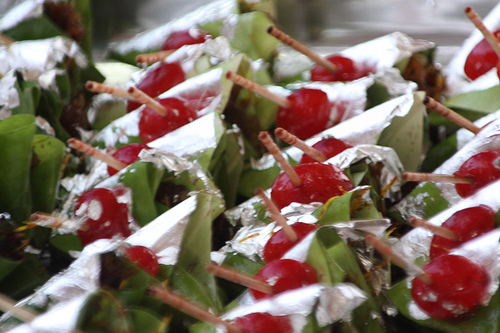 Well, paan or betel-quid as they call it, is considered to be good to chew specially after a very heavy/spicy meal, a maghai or meetha paan, for digestive purposes. It acts as a coolant and breath freshener. Ok you got my point but still not sure in what context ? This Mall culture in metros has got the best restaurants and food joints in the malls but once you finish eating there and you feel like having a meetha paan post meal, you have no option right there. Yes, have you seen any such paan shop at any malls ? No, I am not saying they should sell paan with tobacco and all but at least a sweet paan shop. I am sure if someone picks up this idea and starts something in any mall, one would witness the huge crowd there post meal to have a coolant, breath freshener as the mall would be the most hygienic place to make a paan with no flies and mosquitoes like the streets. Makes sense now ? any takers ?